Purpose: Present evidence of the Mind Mapping (MM) value, for better teaching, learning and researching. Improve understanding about the effectiveness of using MM in medical education in Sudan. Methodology: The literature was gained by searching library databases (PubMed, PsychINFO, MEDLINE and EMBASE). It is a summary of both conceptual and empirically published literature on the uses of MM in medical education. Findings: MM promotes meaningful learning; boosts teaching confidence and effectiveness; expresses research ideas in a visual way. There is a lack of significant prior research on using MM in medical education in Sudan. Practical implications: High-quality professional training for university teaching staff. Social implications: Assist learners with lower cognitive competence. Originality/value: MM supports knowledge acquisition, fosters critical, finds a logical progression through modules and researches. 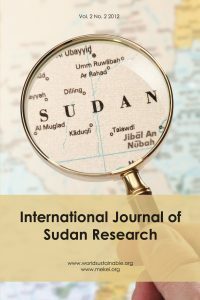 The article advocates that MM approaches could be more widely adopted in Sudan.